Fulminator Mage over Revoke Existence in the SB. Nevermore would be useful. 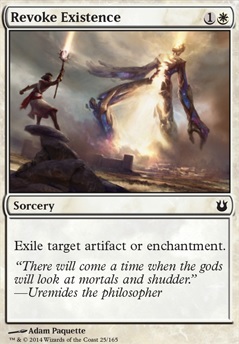 I suggest also adding a few Revoke Existence and/or Disenchant to the sideboard. Look for "Pillow Fort" decks for other ideas. I’d probably run Thorn of the Black Rose over Read the Bones for this list. 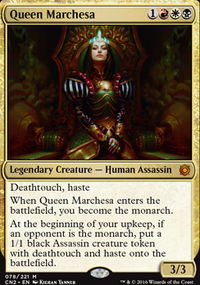 Monarchy is super good in Pauper, and with all your weenie creatures you should have no problem retaining it. I second Raise the Alarm over Gather the Townsfolk . Instant speed seems like it matters more than fateful hour in a list focused on lifegain. Revoke Existence probably isn’t necessary as a four-of, at most I’d run two. I’d add a couple copies of Battle Screech or Guardians' Pledge in its place. Long ago a mechanic called Chroma was created, it wasn't very popular... Until it was reborn as Devotion. That introduction brings me to the card Light from Within, your Knights all have so many symbols. 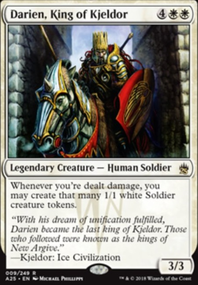 Outside of that Mirran Crusader is probably one of the best knights around and Accorder Paladin would give you another Battle Cry trigger. Silverblade Paladin is a maybe, double strike is a great ability but you don't really need another 3 drop... You might want something like Holy Day as this could stall aggro decks that are faster, combo decks normally need sideboard answers. 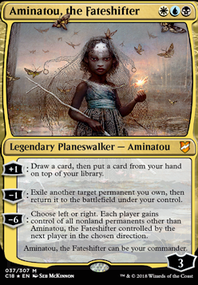 For your sideboard I'd suggest Damping Sphere and Fragmentize. You will see the Sphere in a lot of sideboards, since it messes with big mana and low curves. Fragmentize can deal with most of the relevant enchantments or artifacts, if you don't want to risk it then Revoke Existence just takes them out the game. Nice build! I love how open the Atraxa good-counter-stuff archetype is, with the access to four colours and so many proliferate-able mechanics available. I'd probably add some additional boardwipe-protection. You have Chasm Skulker and Hangarback Walker has been mentioned. Hooded Hydra is another option, and an inexpensive one at that. Heroic Intervention is an amazing utility card as well, it works in combat, against opponents' removal, and allows you to wipe the board and keep your own guys alive. Reyhan, Last of the Abzan works wonders against singletarget-removal and allows for blowout turns with Jarad, Golgari Lich Lord even if you don't have your Altered Ego + Enduring Scalelord combo assembled. You might also want to think about graveyard-hate of some kind. Unless they see absolutely no play in your meta, graveyardstrats can spiral out of control fast if they are left unchecked. Both Scavenging Ooze and Phyrexian Scriptures are options that are on theme with the proliferate-extravaganza. Oran-Rief, the Vastwood can help get the first counter on things to start proliferating. 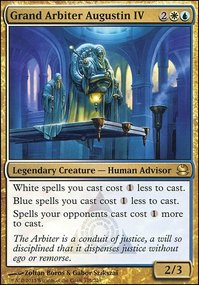 Prime Speaker Zegana is a bit mana-intensive and extremely underwhelming on an empty board, but if you reliably manage to have big creatures stick around for a turn, she can be massive. 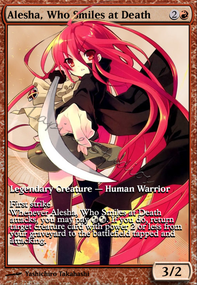 If you're willing to run it, Viral Drake gives you an alternative way to kill people and an additional way to proliferate. Luminarch Ascension draws a lot of hate, but can generate massive amounts of value and thanks to proliferate, you only need to get one counter on there to get the party started. As Foretold is a bit slow, but if it sticks for a bit, it can get pretty insane. With all those synergies, being able to play an additional card per turn can often just win you the game. Akroma's Memorial allows you to swing with your big creatures right away, provides evasion AND protects them from stuff like Anguished Unmaking or all those damagebased red boardwipes. 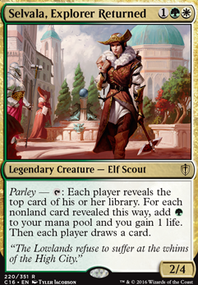 Some more landbased ramp like Cultivate, Farseek, Rampant Growth or Kodama's Reach can help fix your colours and is less likely to be removed than artifacts. 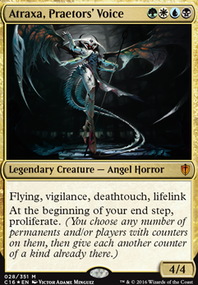 As for additional superfriends, Vivien Reid works well with creatureheavy strategies, and I really like Vraska, Relic Seeker, just because she is never a dead card. Ajani Unyielding is versatile and inexpensive. Just keep the balance in mind. I gradually built my Atraxa list from full creatures towards full superfriends and there was a stretch of time where none of the two strategies were really working out for me because of the mix. Some walkers can be huge fun in a +1/+1-counter-deck and vice versa, I'd just recommend you stay committed to one of the two as your main strategy. Potential cuts: As much as I love the counter-synergies, quite a few of the actual proliferate-cards aren't all that great imho. Inexorable Tide just felt like a pretty clunky win-more card most of the times I drew it, and both Spread the Sickness and, to a lesser degree, Steady Progress are pretty overpriced for what they do, especially if your main wincon are massive creatures, where one additional counter often makes little difference. Contagion Clasp and Contagion Engine can also get pretty mana intensive, but they at least provide repeatable value without additional requirements. Revoke Existence feels kinda narrow. If you're running this with a trget in mind, by all means, keep it in, but you might want to keep your eyes open for alternatives like Utter End or Anguished Unmaking that hit more things. I'm not sure you have enough targets to really take advantage of Skullclamp. Mind's Eye felt pretty slow when I was running it, especially because the deck doesn't do tons of instantspeed stuff, so keeping mana open for it gets a bit sketchy. Mind Unbound is only worth running if your playgroup consistently allows it to stick around for a few turns. Otherwise you mmight be better off running something like Sphinx's Revelation or Blue Sun's Zenith. I'm not sure if I'd run three pillowfort options unless you're facing a lot of token strategies. Your deck looks like it should usually have some big blockers available, And if you don't people are usually fine with paying to take down key walkers.